LEDs (light emitting diodes) emit light via a semi-conductor diode when a voltage is applied. A relatively new light source in the domestic market they have become the energy saving king of the lighting world. They use very little energy and are designed to last a very long time. Ten years ago the domestic lighting market was focused on CFL's (compact fluorescents), but LEDs have now completely taken over. Though LED's have been available within the domestic market for the last 7 to 8 years, LED light fittings have only really started to become more mainstream and affordable in the last 3 to 4 years. The average price point in terms of the cost of the fitting has really come down and there's now little difference between a halogen and more basic LED fitting. For example, it's now possible to buy an LED pendant for just £99. Sussex Lightings Top Tip for Choosing LED Fittings – avoid buying cheap LED, as it will fail. Invest in the beginning and spend as much as you can afford to on a quality product. HQL believe in the mantra, buy once buy well! 1) Benefit from a 90% energy saving compared to a standard incandescent bulb. A mains voltage halogen bulb of 60W would have an output of about 550 Lumens. A 5W LED would consume much less energy; yet offer the same light output. 2) LEDs have a very long life. On average a GU10 50W mains voltage halogen bulb would cost about £4 and last for approx. 2,000 hours. An LED GU10 5W bulb would give the same output and last for approx. 25,000 hours. The life expectancy of built-in LEDs is even greater, at approximately 30,000 hours in a Wofi Lighting fitting. If the light were on for 4 hours a day, this would last for 20 years! You benefit from the cost savings just in replacement bulbs, let alone in running costs. You would need 12 halogen bulbs at a cost of £4 each to cover the same lifespan as a single LED bulb. Plus you're then saving 90% on electricity costs. 3) An LED bulb generates better light and much less heat output. You can feel the difference instantly. In some applications this can be much safer, for example in a fitting where the bulb may be accessible. 4) LEDs can help to reduce fatigue as they offer a light that is closest to natural daylight. Sussex Lightings Top Tip for Choosing LED Fittings - Though all of these points offer very positive reasons for choosing LED, Sussex Lighting believe that the design of the light should still be your first priority over technology. Lighting is an important part of any decorating scheme and there's little point having a really efficient light that looks ugly amongst the rest of your décor! When we talk about LED there are two different types, built-in LED and retro fit LED. Built-in LEDs are literally as they sound and in these fittings it's not possible to change the bulb. Retro-fit LEDs are bulbs that have been designed to work with existing light bulb caps and fittings, such as the traditional Edison Screw (E27) cap. Creatively, you can do different things with built-in LED, which aren't possible with incandescent or halogen light sources. Some people become anxious about choosing built-in LED, as it's not possible to change the bulb in the way that we're used to. However, built-in LEDs have a very long life span so the light source doesn't need changing in the way of incandescent or halogen bulbs. Also, LED as a light source doesn't fail, it's usually the electronics that fail and they can be repaired. It may be that in this scenario we just need to learn to think about lighting a little differently. We're used to the fact that a TV very often can't be repaired and would need to be replaced when it fails. At this point you simply upgrade to a new one. 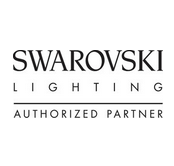 Susses Lighting stock and sell hi-end LED’s From this range it's possible to offer an equivalent LED lamp for all screw cap incandescent and mains voltage halogen lamps (the only exception to this is if the fitting has a touch control or step dimmer function). Unfortunately, it's not possible to retro-fit low voltage halogen fittings. This is because halogen transformers and LED drivers use different technology. LED's have a much lower power drain than transformers, which can sometimes cause the light to flicker. Retro-fit LED bulbs are available for low voltage halogen, but HQL only sell them on the basis that if they don't work, you can simply return them. To date, there's been no apparent rhyme or reason to them working with certain transformers and not others. Therefore, on the whole HQL don't recommend swapping low voltage halogens to LED. Sussex Lighting LED Top Tip - It's important to note that retro fit LEDs don't meet current building regulations, which specify a certain amount of LED lighting in new build properties. LED technology is constantly evolving. The speed of LED development in the domestic lighting market is just 10 weeks. Literally by the time a finished product is being shipped out of a factory complete, it's obsolete in terms of technology and product development. For example in the 52-week product cycle of Wofi Lighting, a product will have been technically superseded 5 times by the time it's available for sale. The drive for new technology is always for increased lumens, we want things brighter and brighter! Once output is high enough then it becomes about the dimming. Development speed in the domestic LED market is 10 weeks, so every 10 weeks technology has been superseded. Due to supply lines many major high street retailers can be working up to 12 months ahead, which means that potentially they're not offering the very latest technology as soon as it's available. At Sussex Lighting, we work with premium lighting manufacturers who are always innovative and looking for new design trends, which can also be supplied on a shorter time line. Consequently, as soon as new technology is released, it's available through Sussex Lighting. Wofi Lighting is a premium German lighting manufacturer whose key focus is technology. They appreciate that the very latest technology allows you to do different things. For example, their best selling Louvre pendant just couldn't be made using halogen. Within their collection you'll find products with clean, straight lines. Action Lighting is a sister brand of Wofi Lighting (the two share the same factory). They offer a similar style of product to Wofi, but at a more competitive price point. Consider it the difference between flying with a budget airline and on Concorde! Elstead Lighting offers a range of lighting with more classic styling. While their collection doesn't focus specifically on LED technology, their fittings do have big retro-fit possibilities. Sussex Lighting Little Known LED Fact - LED's are almost handmade, like wallpaper and fabric they are batch dependent. The differences are fractional, so you may not notice it depending on your eye for detail, but if you were to put downlights side by side you may see a small variation. Poorer quality LED can suffer from batch differences, which is another reason to invest as much as possible in good quality LED.